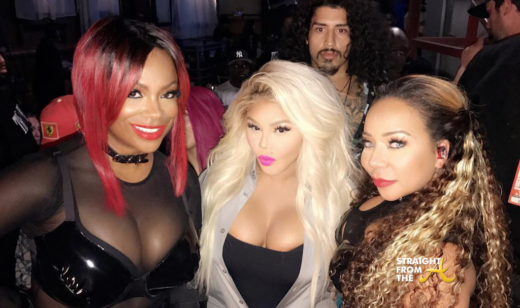 Kandi Burruss, Lil Kim and Tiny Harris strike a pose during the 2017 Hip-Hop Honors, which was taped last night. Xscape is one of the many old school groups performing for VH1’s Hip Hop Honors this year, which will honor ’90s Game Changers’ and celebrate a number of influencers responsible for driving urban entertainment to the mainstream in the 90s. Honorees include Martin Lawrence, Mariah Carey, Master P, Jermaine Dupri and renowned hip-hop video director Hype Williams. 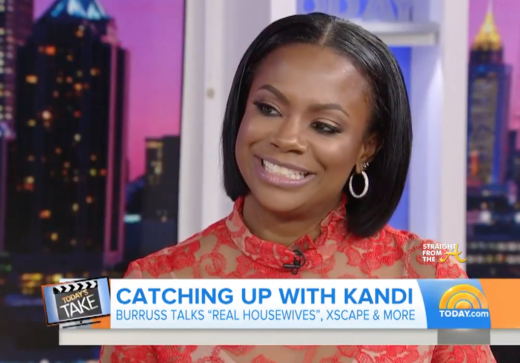 Kandi Burruss of The Real Housewives of Atlanta paid a visit to NBC’s TODAY show recently where she dished a bit about the upcoming 10th season. We never know how much drama there’s going to be until the season finishes taping. Burruss spoke with TODAY hosts about her history with NeNe Leakes and admits that they’re cool at the moment. She also talks about the success of her Atlanta restaurant, Old Lady Gang and Xscape’s comeback tour. Kandi Burruss of The Real Housewives of Atlanta is spoke on a female empowerment panel discussion during the 2017 Essence Festival yesterday (July 1, 2017). DO NOT promote any name that you like unless you have trademarked it first. Do not hashtag it, do not say nothing about it… unless you have got all the social media accounts for that name and go through the process of trying to trademark it. She also provided a bit of insight about the Jermaine Dupri’s unauthorized Xscape movie (click HERE if you missed that) and how the group actually reunited because of it! It’s official! Xscape is back. The 90’s girl group, which consists of Kandi Burruss, Tiny Harris, LaTocha and Tamika Scott, hit the ground running last night with their first performance in over 18 years. Having announced their reunion earlier this year, the ladies appeared onstage for their first performance in nearly two decades at the BET Awards on Sunday (June 25), performing a medley of hits. 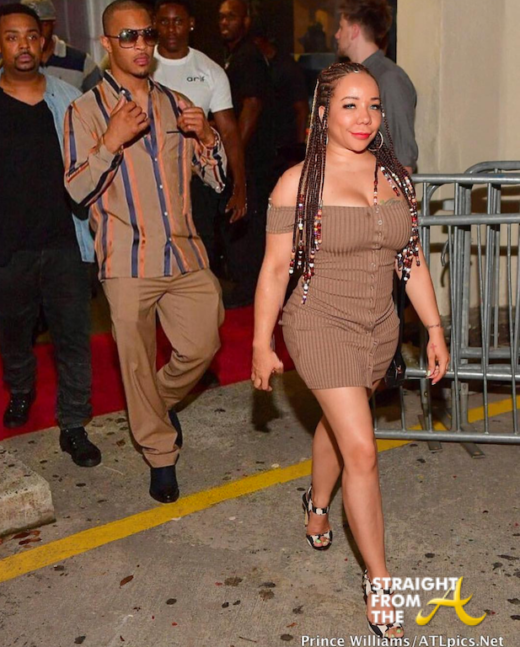 It appears that Clifford ‘T.I.’ Harris and his estranged wife Tameka “Tiny” Harris are back in the loving mood. Fans were distraught as the demise of the couple’s relationship played out during the season finale of The Family Hustle (click HERE if you missed that). Well the Harrises are still very much ‘a thing’ and they even coordinated their attire for Tip’s final Hustle Gang concert this past weekend. Xscape will be smattered, smothered & covered all over your tv this fall as there are not one but TWO docu-dramas in the works. 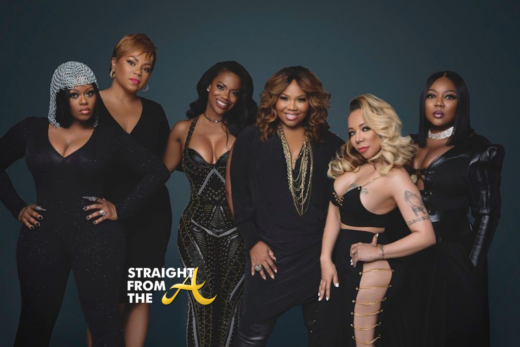 I told y’all a few months back that Kandi Burruss and her fellow Xscape band mates were working on a show with Mona Scott Young (click HERE if you missed that). 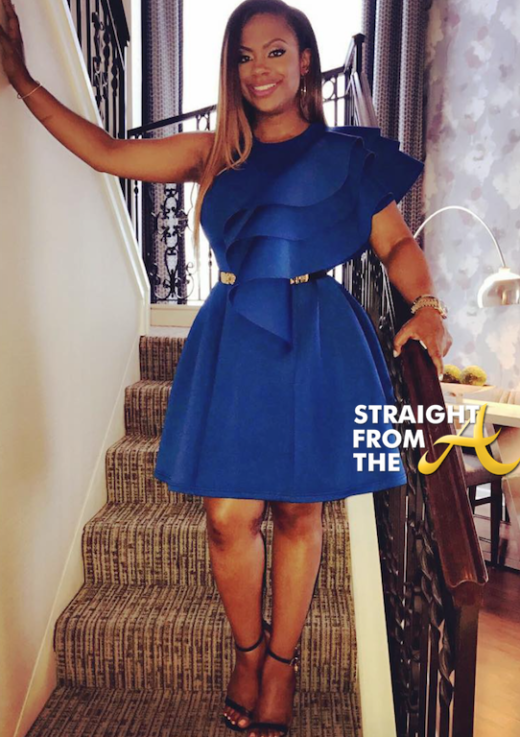 As you know, Jermaine Dupri and former RHOA producer Carlos King, sold their version to TVOne and now Kandi has pulled a few strings and gotten her’s picked up by Bravo!